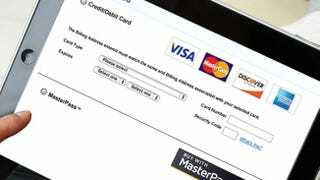 MasterCard is no stranger to high-tech purchasing. Its existing PayPass Wallet already lets you tap your credit card on NFC terminals. But the new MasterPass service takes it all to another level, letting you do things like scan barcodes and buy items with your phone, right on the spot. MasterPass isn't an app, but rather a service that retailers will be able to bake into their own apps to add functionality. Much like Amazon's 1-click ordering button that can be embedded on retail websites, MasterPass can be rolled into retailer apps to turn smartphones and tablets into portable check-out stations. And instead of standing in line to buy something on your way out, you'll just have to confirm you already did.